The polyester fiberpile shirt and bib overall are new ECWCS development items. The shirt serves as the primary insulating layer on the upper body. 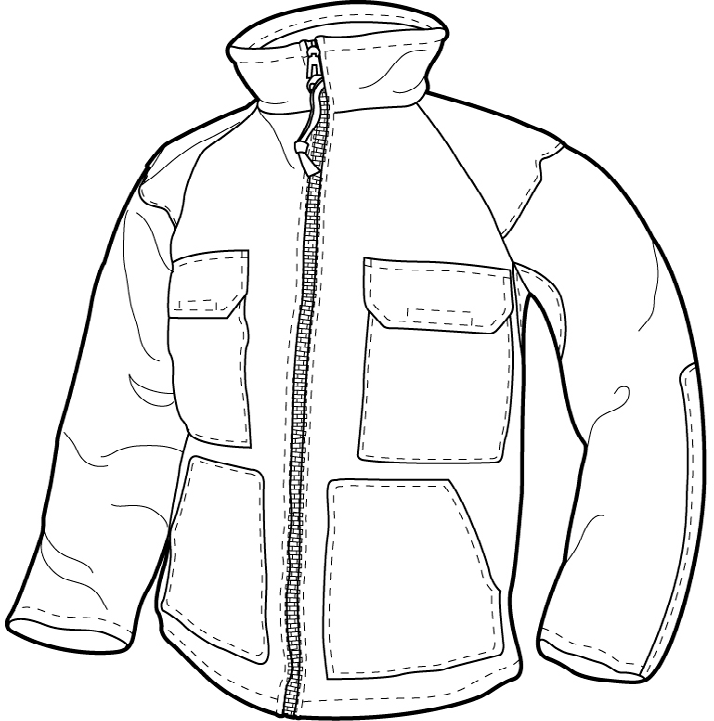 The bib overall is used as an additional layer for temperatures below -25°F<?span> and down to -60°F. The shirt and the bib overall are made of a brown colored (brown 463), knitted, polyester fiberpile material conforming to class 4, MIL-C-43251, because of which the shirt and bib overall are called "bear suit". 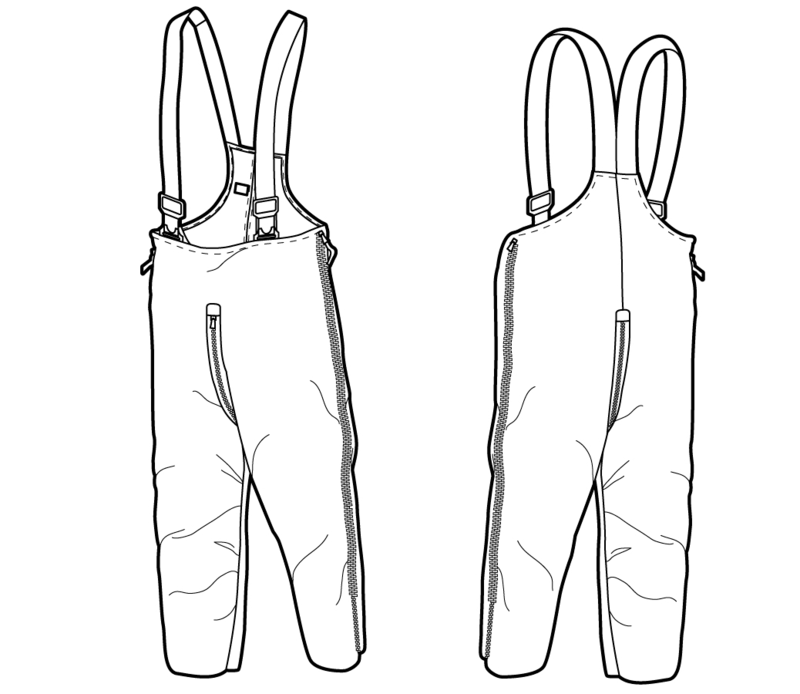 The overall has adjustable elastic suspenders with quick release buckles, and full length zippers at the side seams and a fly slide fastener enable two-way openings. The quick release buckles are worn in front.